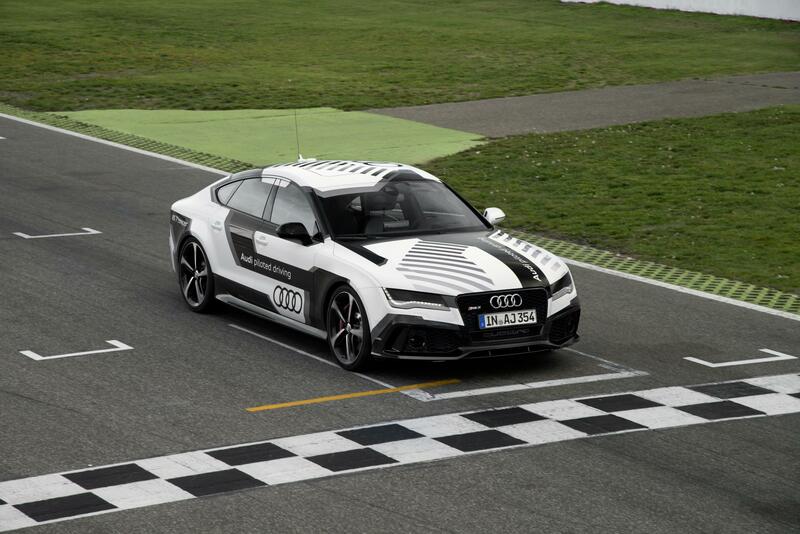 Carmaker Audi has successfully tested the 560-horsepower RS 7 at the Hockenheimring race track, with the autonomous car reaching a top speed of 149 miles per hour. In fact, it became the fastest autonomous vehicle to be tested, offering a glimpse into the future of high-end vehicles. Audi has worked on its autonomous technology for more than 10 years, and while driving on a racetrack is one thing, the ultimate test will be when these types of vehicles are tested on busy suburban and city streets. The Audi RS 7 was able to reach full throttle on the track straightaways, and successfully braked before entering the corners - with 1.3 g of force reached, according to Audi. Tesla, Audi, BMW, Mercedes-Benz, and other high-end carmakers believe autonomous driving is the future, and have invested a large amount of resources into developing the technology.